As children’s entertainers in Cheshire and Manchester, we get to hear and see lots of ideas for special occasions which we love to pass on to you. With Father’s Day coming up, we’d like to share with you some great ideas for gifts and things to do to make Dad feel really special on his day. If you are looking for a great idea for either a gift or an activity to do with Dad on Father’s Day, then Brooklyn Pottery could provide the answer. Here you can decorate tiles, plaques, mugs and photo frames whilst enjoying a coffee and a cake too. 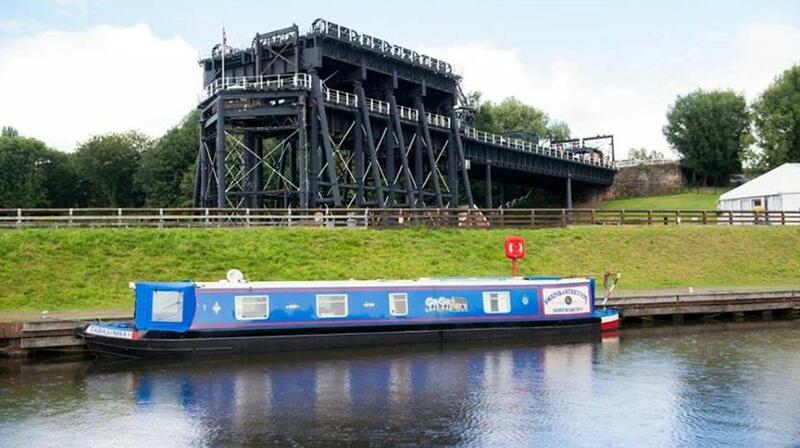 If you fancy an afternoon trip out on Father’s Day, Anderton’s Boat Lift in Northwich, Cheshire could be perfect. All dads go free on the Top of the World Tour. Try the Anderton Boat Lift with Dad. Beefeater Restaurants across the country are letting dads eat free with a free Flat Iron Steak. You must pre-book your table for this offer, so take a look here. Some ideas for cards and gifts you can do at home are always handy. How about this shirt and tie card? You just need one piece of card, folded, then cut a slit halfway across the top and fold back to make the collar. Then with another piece of card, cut out a tie shape and let your child decorate with pens, stickers, etc. Attach the tie to the card and you have a great, personal card to give to Dad. A lovely keepsake idea is a footprint bookmark. Take a print of your child’s footprint onto a card using poster paint. Let it dry and then cut out around the footprint. Use a hole punch to make one hole at the top, and then tie a ribbon through it. To make the bookmark more durable, you could laminate it. 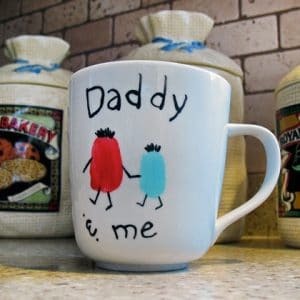 Let your little one design a mug for Dad, like this one from redtedart.com, and fill it with treats you know he’ll love. Finally, how about a mug of treats? You just need a mug, which could be one that your child has decorated, and then choose some of Dad’s favourite things to go in it. Favourite sweets, chocolate bars, a pen, a bottle of beer, etc are all great and help make this a really personal gift that doesn’t have to cost the earth. We hope you enjoy some of our top Father’s Day ideas to do in Cheshire and at home. If you have any ideas of places to go, do share them with us. We’d love to hear from you.